Before heading west, G and I flew the 3 hours from Toronto last week to Canada’s youngest province, Newfoundland and Labrador (which entered Confederation in 1949). 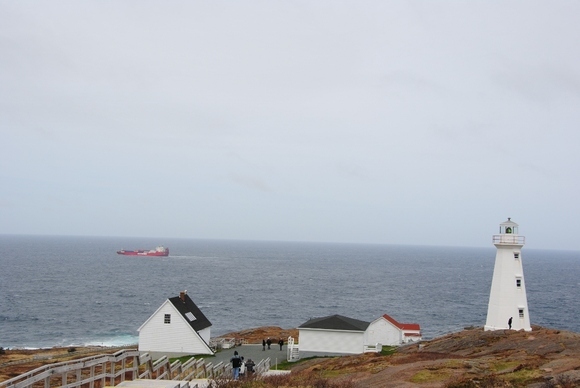 Newfoundland and Labrador is a vast province with roughly 500,000 residents, 90% of whom live on the island. It is a stark, chilly, windy place with some of the warmest people you’ll meet this side of Ireland. 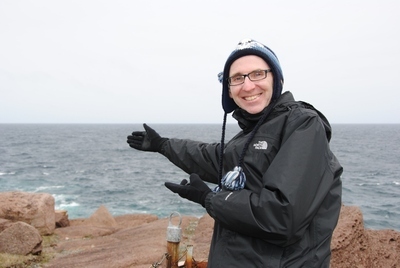 2) me at the most easterly spot in all of North America; 3) where you want to go? Europeans – the Vikings actually – first landed here at L’Anse aux Meadows (which we’re visiting later next week) 400-odd years before that charatan Columbus ‘found’ America. If you get the chance; visit – you shan’t be disappointed. 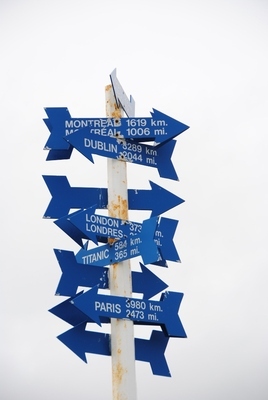 And when you come, make sure you ‘kiss the cod’; try some “screech”; dine on ‘cod tongues with scrunchions’; have a ‘touton’ alongside your breakfast eggs; and visit George Street in St. John’s, which – in another first – has the most pubs per squre foot of any street in all of North America. 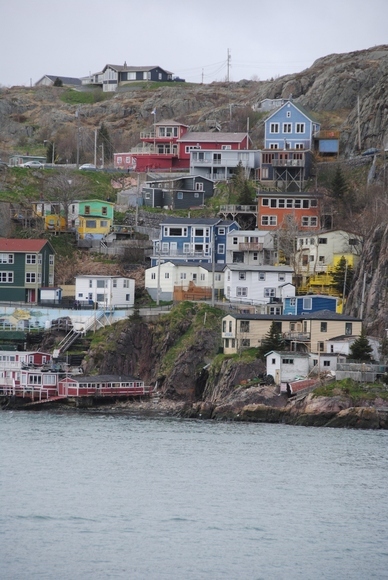 Goodnight from St. John’s and onwards to Cupid and Heart’s Delight tomorrow. I know bring warm clothing or at least water-shedding clothes. The weather was quite chilly! nice pictures! 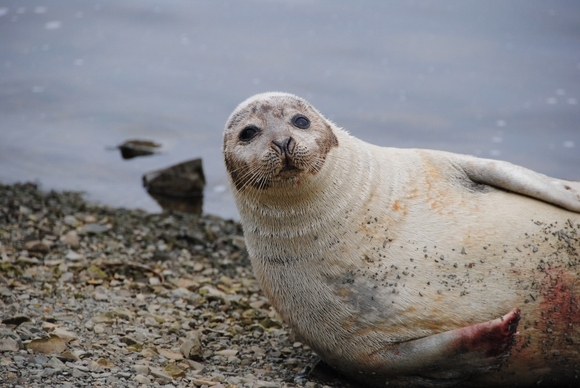 what happened to that harbor seal’s flipper?? ?